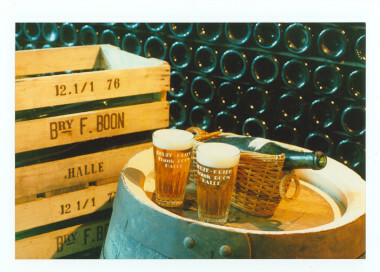 Oude Geuze Boon Black Label is the driest geuze made by Boon. It is made with lambic that aged for 1, 2 and 3 years on oak casks (foeders) and characterized by its dry finish, full body, balanced sourness and lively carbonation. It’s a perfect example of how Boon touches and moves the boundaries of lambic beer. Combining this dry finish and full body was a big challenge. The result, however, is an enjoyable, complex and well balanced Oude Geuze.